Worthy causes abound but not all get the exposure they deserve. Abundant Life Palliative Care offers hope, dignity and compassion to patients and family encountering terminal illness. Abundant Life came to Noeleen Vermaak’s aid and offered hope where there seemed to be none. Abundant Life is run by Sister Pitout and Doctor Cupido operating out of the Victoria Hospital in Wynberg, Western Cape, South Africa. They operate on a shoestring budget and are largely dependant on donations and volunteers. It is however a goal of Doctor Cupido for Abundant Life to be established at every South African hospital. There is a huge demand for palliative care in today’s society. With thousands of people needing care and not able to afford the rising costs of private medical care, Abundant Life is pioneering the establishment of this essential service. I rode the 2015 Desert Dash as a means to promote and raise funds for Abundant Life. Surviving firstly the race itself, secondly a car crash on our way back to Cape Town from Namibia and ultimately in June of this year losing my father to Cancer has given me new perspective on life and the precious gift it is. It has also given me an insight into the importance of what Abundant Life do for the patient and the family in the final stage of life/death. Offering physical, emotional and spiritual support is all part and parcel of Abundant Life’s philosophy. 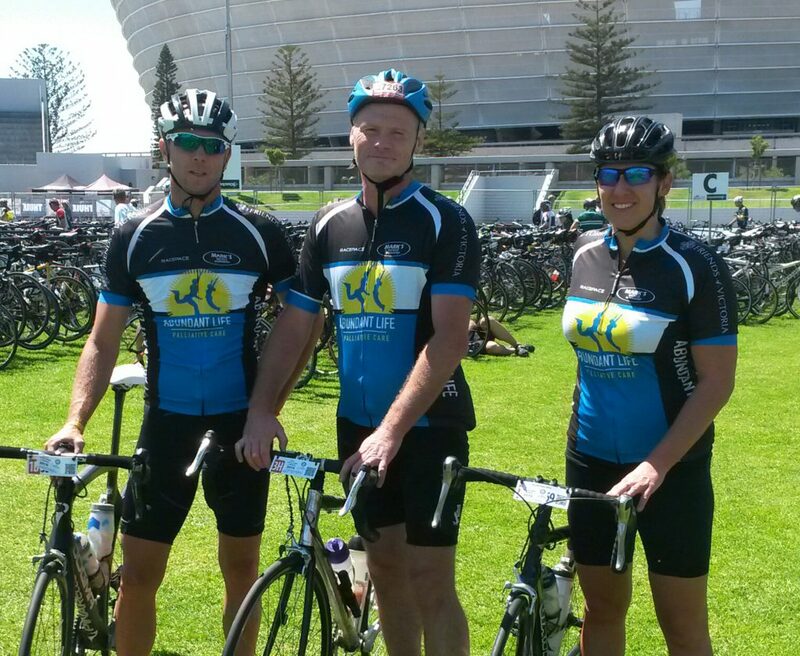 I am therefore even more motivated to ride for them again in December 2016, this time joined by my soulmate, Noeleen. 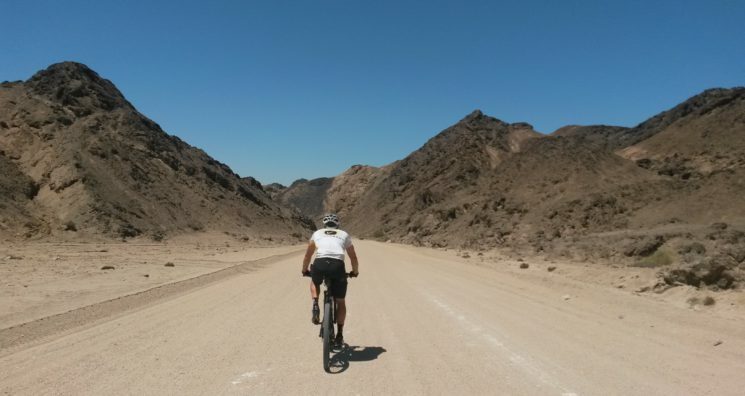 We are both entered into the solo event which entails the rider having to complete the 369 km from Windhoek to Swakopmund in just 24 hours. The world’s longest single stage Mountain bike race is a test of physical and mental endurance which at times requires the rider having to dig deep in order to complete the race in the time allotted. The race in many ways embodies the journey of life… Many ups and downs represent the emotional rollercoaster we endure on our way to the finishline. Life is afterall defined by the journey and the memories you gather along the way. 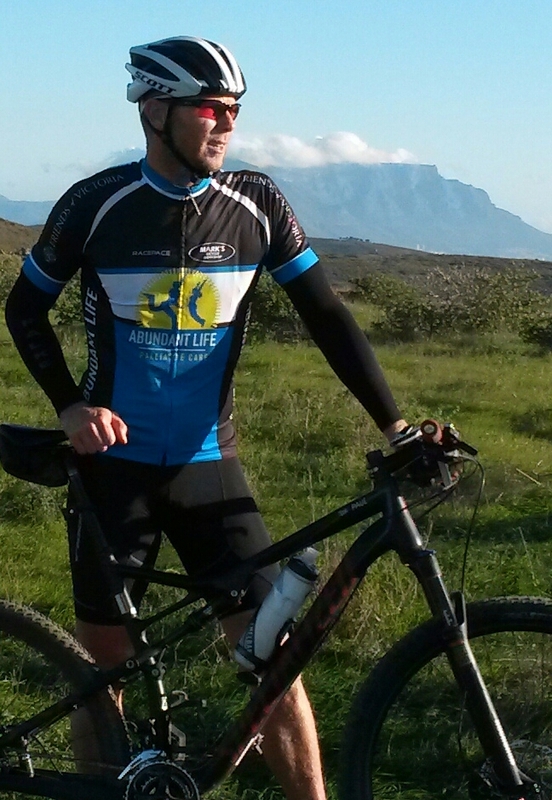 Paul Jacobs in training in Cape Town. It is however the support crew on this race that makes it possible to complete. Providing nourishment, mentally and physically, they are the Abundant Life of the endurance event that is life! We can all live an Abundant Life by caring for others by giving of our time and if possible donating much needed cash thereby ensuring terminally ill people also get to live an Abundant Life. Thanking you kindly for reading through our exciting crowdfunding campaign! Our campaign has been extended to the end of January, so please spread the word, we desperately need those donations to come in!! 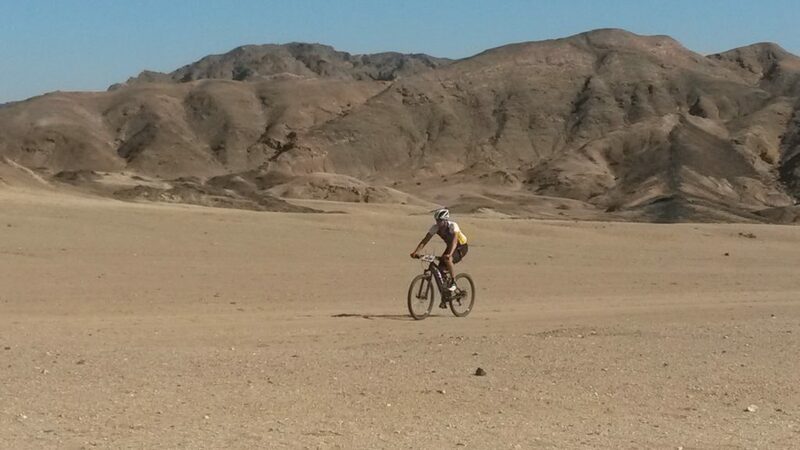 So why am I (Paul Jacobs) riding a bicycle across the Namib desert in the Nedbank Desert Dash for Abundant Life? Well, Noeleen Vermaak has inspired me in many ways and her heart wrenching story of Andre Vermaak (an avid competitive cyclist in his day) who was struck down by a deadly disease causing massive multiple organ failure and ultimately death was inspiration enough for me to meet up with Dr. Cupido and Sister Pitout. 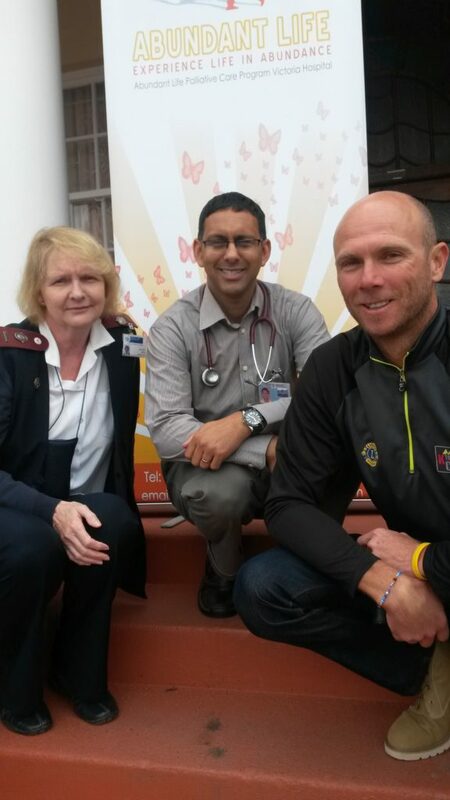 Meeting (Elizabeth) Pitout and (Clint) Cupido was an experience which was an eye opener for me. It convinced me instantly that their cause was definitely one worth supporting. They are truly 2 angels in human form!